Marketing is undergoing dramatic change as it converges with the worlds of data, IT and technology. Sometimes this shift resembles more of a collision than a convergence. It is easy to be overwhelmed by the onslaught of information pouring in from smartphones, credit cards, televisions, computers, trains, buses, planes and sensor-equipped buildings, but marketers are discovering that such data can give them a greater understanding of their consumers’ desires and behaviour. Insurance brand More Th>n is making strides in harnessing the data revolution to demystify its marketing, according to its marketing director, Dominic Grounsell. More Th>n has taken parts of its consumer-research processes in-house, allowing the marketing team to get closer to consumers and observe at close-hand how its campaigns are received. "We have a big panel of people every week that capture brand experiences via mobile phones. If a letter from More Th>n arrives on the doormat, they would capture it on their phones and say it made them feel like this or that. This allows me to see in real-time whether the communication has had the impact I wanted," he says. The company has also taken its econometric measurement in-house so it can measure the ROI of its campaigns. Previously, many of these processes were carried out by external companies and marketers had to take their word on how campaigns were performing. In the world of digital data, however, marketers are dispensing with these "black boxes" and seeing the effectiveness of their activities up close. "Marketers should always be terrified of black boxes, which are usually owned by a media agency or management consultancy. We have relied on them too much. We didn’t understand the gubbins in the machine and that feels risky," says Grounsell. He is optimistic that advances in data will allow marketers to take greater control of their brands and bring much of this knowledge in-house. Of course, this will require marketers to brush up on their data and technology skills. One advantage of being a data-savvy marketer is that it can lend greater authority when explaining budgeting decisions to the finance department. Previously "fluffy" marketing can now be justified, assuming it works. Grounsell, for example, says that he can now use data to justify a creative campaign, whereas before he would have had to rely on his intuition. On the face of it, marketing appears to be making the transition into a data-driving specialism. Chief marketing officers will have bigger IT budgets than chief information officers by 2017, according to predictions by research firm Gartner, and, as Grounsell says: "The marketing world is increasingly focused on data and technology to drive increased effectiveness and efficiency." Nonetheless, marketers need to keep the human dimension of data at the forefront of their attention. It is easy to get swept up in the data revolution and forget that, ultimately, it is simply a tool for understanding customers better. Data is a means to an end, rather than an end in itself. This reflects one of the oldest debates in artificial intelligence. There are those who believe that it is possible to build a computer with human characteristics, which could ultimately replicate itself. 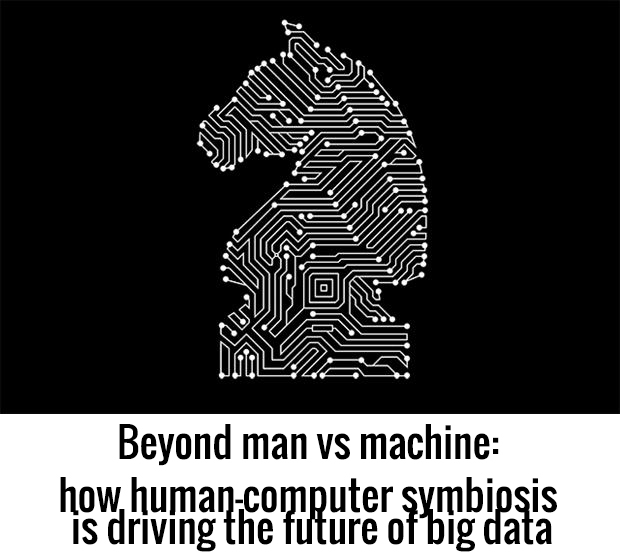 An alternative view is that superior results are gained from "man-computer symbiosis", in which computers and humans work together. When chess Grandmaster Garry Kasparov was beaten in a game by an IBM supercomputer called "Deep Blue" in 1997, this was thought to show that computers could ultimately out-think humans. 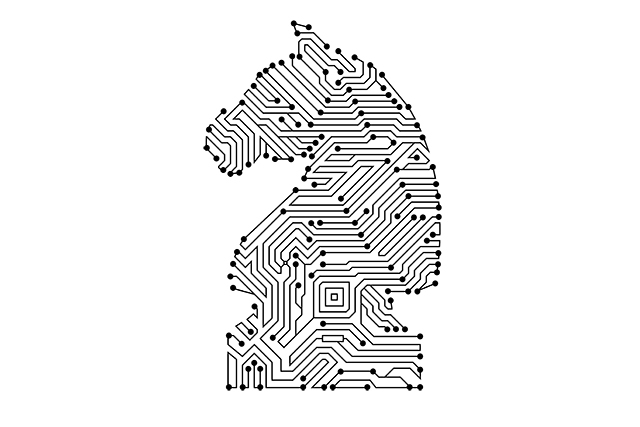 But in 2005, chess players partnering computers beat computers as well as chess masters in a tournament, suggesting that human-computer symbiosis was the optimal use of artificial intelligence. This matters for marketers, who need to remember that data and technology are tools for understanding consumers. Marketing is not like one of Google’s driverless cars – it does not happen on autopilot, but needs real human understanding at its base. How often have you received irrelevant automated email marketing, or been targeted online with ads for goods you searched for weeks ago? Programmatic ad-buying systems don’t understand the psych-ological nuances of consumers’ purchasing habits and online behaviours. The sort of problems that arise when computers are allowed to "think" for themselves were seen in a report about US retailer Target. A New York Times Magazine article in 2012 claimed that Target’s big-data system identified a high-school girl as pregnant from analysing her most recent purchases. The piece claimed that while the collection and interpretation of the data was accurate, her family found out she was pregnant only after Target’s marketing and coupons for baby-related products were mailed to their home. According to Justin Cooke, chief executive of digital agency Possible, this shows that brands can be "completely tone-deaf" in their use of data. "Data, without the filter of a human element, has no tact, social grace or conscience," he explains. "Relying on it exclusively to make marketing decisions is a recipe for an awkward tragicomedy." Cooke thinks the main peril of big data lies in oversimplifying it. "You cannot simplify ‘big data’ and suddenly have a clear course of action pulled out from thin air," he says. Rather, brands need a solid understanding of their customers’ needs and a good sense of the data that they have at their disposal. Enterprise IT companies are working closely with marketing departments and chief information officers to unlock the power of big data. As David Jonker, a director of big data at software company SAP, says: "Marketers are very much taking the lead. Though in many cases, they are dependent on the chief information officer to understand what the capability is. But there is a long way to go for their understanding of how to leverage that data," he says. Jonker believes an important step is for marketers to work with data scientists – experts who understand the brand’s business challenges and can work with marketers to identify the relevant data to use and the best way of using it. "Big data becomes valuable or drives tangible results only when you figure out how to apply and operationalise the insights. That’s the role of the marketer." He says the brands are using SAP HANA, a network enterprise solution that uses "in-memory" access for data – which is much faster than accessing it from a hard disk – and this has sped up the process so marketers can get results and insights from broad sets of data within hours or minutes rather than days. Burberry uses SAP HANA for its 360° customer-immersion programme. The database stores information about customers’ previous purchases and preferences so when they visit a Burberry store, a sales associate can recommend products. This is similar to recommendations made on Amazon, though Jonker says the luxury fashion brand’s is "on another level". He believes that over the next few years, more brands will seek to achieve the level of personalisation achieved by Burberry. Marketers can struggle to decide which data is most useful for understanding customers, however. Sarah Todd, chief executive of marketing agency Geometry Global, believes marketers underestimate the depth of understanding needed to find the real golden nuggets that will make a difference. "The biggest danger of the big data revolution is losing your way in the data forest and forgetting what you set out to achieve. There is now so much data that can be very interesting, but does it help you answer your questions or meet your objective?" she asks. Different sets of data are effective in different stages of the customer journey, so it is important to identify which data can drive real-time responses and which is better for informing the CRM strategy. A massive challenge for big data is to create simple insights for brands. The sheer mass of data points available can appear overwhelming for marketers, so they need to see that it can be harnessed in a clear and easily accessible way. Phuong Nguyen, director of UK advertising for eBay, says that the online commerce site is probably the biggest repository of customer data in the UK, and it is using this information to solve client problems in surprisingly simple ways. He gives the example of a campaign eBay carried out for PC manufacturer Lenovo as it entered the tablet market. When the brand launched its Yoga tablet in the UK earlier this year, it had its work cut out to demonstrate its prowess and build its credentials in a crowded market. Working with eBay, the brand devised a simple way to build awareness of the new product – it targeted ads at customers who had searched for "tablets" on the site or had recently bought one. 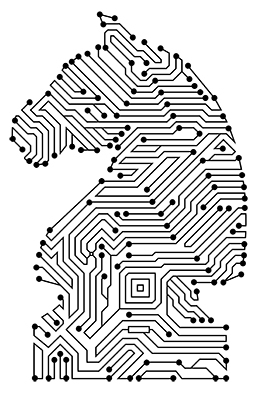 "It is a great example of how big data isn’t neces-sarily unwieldy," says Nguyen. "The simple consumer insight we used was to look at people who had recently purchased or liked a tablet or laptop." Over the course of the campaign, sales rose 151% and awareness of Lenovo as a tablet brand rose to more than 50%. There are real, practical problems with entering new information into databases. Mark Roy, founder of data management consultancy REaD Group, says to get new filters of data onto a database is an "enormous task", so to suddenly start including, for example, people’s social-media data can be a "nightmare". "It is an enormous change for an organisation with 13m records," he says. Meanwhile, Simon Lloyd, head of insights at Weve, a mobile commerce partnership between UK mobile operators EE, O2 and Vodafone, says "big data" has been adopted as an industry buzzword and is often misunderstood as a good thing in all cases. He believes data science has focused on correlations between data sets without considering cause. "Correlation without causality is worthless," he says. Businesses need "smart data", obtained by sifting through the big data to come up with useful information that can explain causality and therefore "makes sense". There has been a backlash against the use – or misuse – of data by marketers. At Cannes this year, John Hegarty, founder and creative chief of BBH, talked disparagingly about the "digital Taliban" – people who insist that whatever the marketing challenge, the answer will be digital. There are real concerns that data-driven marketing could be a distraction from the true objectives of marketing, which are to build clearly differentiated brands. If every brand can use data in the same way, it ceases to be a point of differentiation and becomes a "hygiene" factor that every brand must have. True differentiation lies in the creative and strategic answers that marketers come up with. For some, the world of marketing has changed from one where marketers needed to find the answers to questions, to a situation where the question that is asked is more important. Chris Baylis, executive creative director at agency Iris, says: "In modern life, everyone wants certainty. ‘Let’s look at what we did before and find answers, let’s look at the data and find certainty,’ we say. Creativity is not about looking for answers, it is about asking good questions, and interrogating a problem to find unlikely relationships and solutions. If you want to do the same as you did before, look for answers. If you want to be a game-changer, look for questions." The marketing industry is adjusting to the idea of humans and machines working together to get the most out of data, although there still seem to be many examples of data-driven communications that lack the human dimension. need for skilled individuals to interpret the data, troubleshoot anomalies and correct any errors. It seems hard to imagine – and unwelcome indeed –that a time will ever arrive when marketing will be able to dispense with the human element and become a self-replicating machine. Will 'recording' our thoughts as data make us immortal?